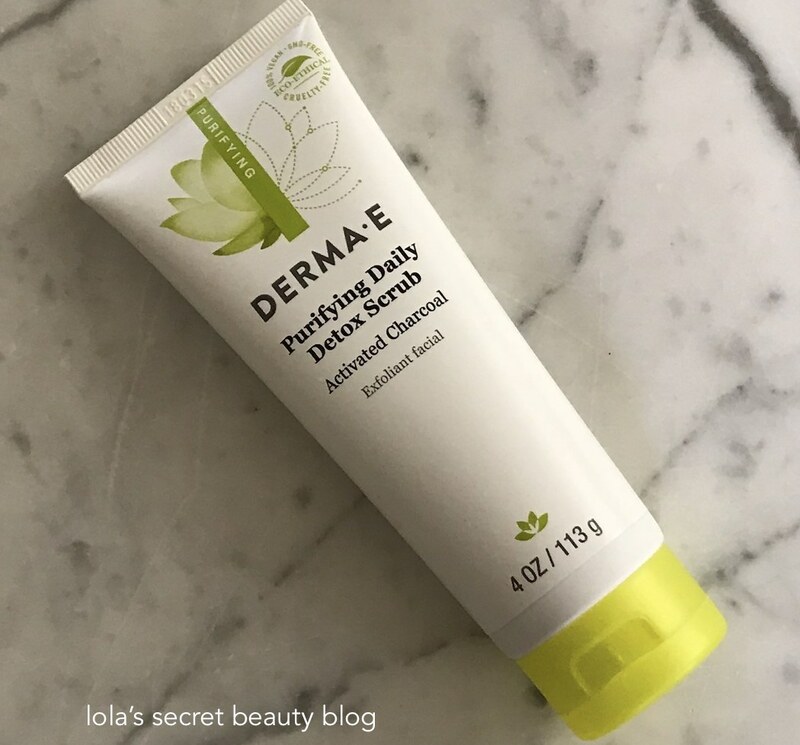 I received a lovely email from a longtime LSBB reader who wanted to express that the winter has wrought considerable havoc on her skin this year, and not only is her normal skin exceptionally dry, but that she has also been having some unusual breakouts as well. She wanted to know if I had a favorite affordable range of products that she could use to spot treat the breakouts without drying the rest of her skin. Interestingly, in addition to the fact that my normal/combination skin has been especially dry this winter, I have also been getting a few breakouts on my chin that I have been spot-treating with my tried and true Derma E Purifying Daily Detox Scrub and Purifying 2-in-1 Charcoal Mask. In fact, when I have these breakouts I like to use the scrub at night on my chin and then apply the charcoal mask on the breakouts alone. This combination is quite effective, and my pimples clear quickly, and my skin is not left dry, taut. red or flaky. Derma E Purifying Daily Detox Scrub ($15.50 for 4 oz. from Derma E, Ulta, Skin Care RX, Walgreens, Birchbox and Dermstore): This is a highly effective exfoliant that gently lifts dead skin cells and dirt leaving skin clean, clear and radiant. The exfoliating particles are small in size, and they are gentle enough against the skin that one could use this scrub on a daily basis, or as needed, for oilier skin types. For my normal to combination skin, I find that I only need to use this scrub once or twice a week to see all of the benefits. While the Menthol, Glyceryl Stearate Citrate is toward the middle of the list of ingredients, it only offers the faintest tingle to the skin, and serves to be refreshing rather than irritating. This scrub is very well-suited for combination to oily skin. Gentle enough for daily use, this detox scrub lifts away micropollutants and impurities while promoting oxygenation for a fresh, healthy radiance. Doctor developed and clinically tested, this revitalizing formula contains some of the most powerful minerals and natural toxin fighters from the earth and from the sea. Kimarine® Wakame is a potassium-rich, magnesium-rich seaweed that is clinically proven to protect skin against environmental pollutants (exhaust fumes, cigarette smoke, heavy metals). Bladderwrack is an antioxidant-rich, mineral-rich seaweed known for its water-binding properties, supporting healthy skin hydration and nourishment. Activated Charcoal, known for absorbing 100 to 200 times its weight in impurities, helps remove toxins from the skin’s surface. Apricot Seed Powder gently exfoliates away micropollutants, and Green Tea delivers potent antioxidant defense. Directions: Apply a small amount to wet or dry skin and gently massage in circular motions. Rinse thoroughly with warm water and pat dry. Gentle enough for daily use. Ingredients: Aloe Barbadensis Leaf Juice, Cetyl Alcohol, Prunus Armeniaca (Apricot) Seed Powder, Glycerin, Coco-Caprylate, Charcoal Powder, Fucus Vesiculosus (Bladderwrack) Extract, Undaria Pinnatifida (Wakame, Kimarine®) Extract, Organic Camellia Sinensis (Green Tea) Leaf Extract* (.1%), Menthol, Glyceryl Stearate Citrate, Xanthan Gum, Diheptyl Succinate, Capryloyl Glycerin/Sebacic Acid Copolymer, Menthyl Lactate, Potassium Cetyl Phosphate, Glyceryl Stearate SE, Coco-Glucoside, Glyceryl Oleate, Iron Oxide, Phenoxyethanol, Ethylhexylglycerin. Derma E Purifying 2-in-1 Charcoal Mask ($19.50 Derma E, Ulta, Skin Care RX, Skin Store, Walgreens, Target, Beauty Encounter and Birchbox): This 2-in-1 charcoal and clay mask not only draws out impurities, debris and excess sebum as many clay masks do, but it also contains exfoliating particles that sweep away dead skin cells. Simply apply it as a traditional clay mask, let it dry after about 5 minutes, then wet fingers and gently massage mask in a circular motion in order to activate the exfoliant. Skin is left remarkably clean, decongested and radiant. I neither find it stripping, nor uncomfortable on the skin. However, the refreshing peppermint tingle from the Menthyl Lactate, which is an ester of menthol and lactic acid, may be too active for people with particularly sensitive skin. For my normal/combination skin it is refreshing and exhilarating, and not in the least bit drying or irritating. Directions: Apply generously to clean facial skin, avoiding eye and lip area. Leave on for 5 minutes or until mask is completely dry. Moisten fingertips, then massage mask gently in a circular motion to activate exfoliants. Concentrate on areas of congestion such as nose, chin and forehead. Rinse thoroughly, or remove with a damp cloth. Pat dry. Use 1-2 times a week. Ingredients: Organic Aloe Barbadensis (Aloe Vera) Gel Extract*, Kaolin (Clay), Bentonite (Clay), Glycerin (Vegetable Derived) , Prunus Armeniaca (Apricot) Seed Powder, Charcoal Powder, Fucus Vesiculosus (Bladderwrack) Extract, Undaria Pinnatifida (Wakame, Kimarine®) Extract, Epilobium Angustifolium (Canadian Willowherb ™) Extract, Panthenol (Provitamin B5), Organic Camellia Sinensis (Green Tea) Leaf Extract*, Menthyl Lactate, Xanthan Gum, Potassium Sorbate, Phenoxyethanol, Ethylhexylglycerin. 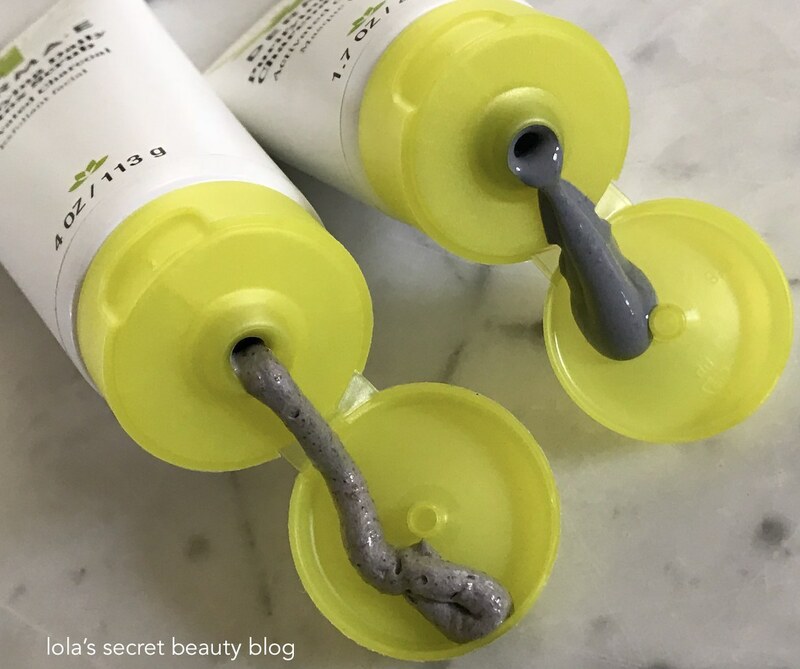 Overall Assessment: Derma E Purifying Daily Detox Scrub and Purifying 2-in-1 Charcoal Mask are both perfectly suited for most types of skin to detox, clarify, exfoliate and draw out impurities. For dry skin, they are great for periodic use, as needed. However, for normal to oily skin types, these are perfect to use a couple of times a week. They are also very effective to spot treat breakouts, to unclog pores on the nose and chin, and to generally leave skin clear. Anybody interested in these two iconic Derma E Purifying skincare products should head over to my blog and enter the giveaway to win them! YES! Thank you for mentioning that, Allison! 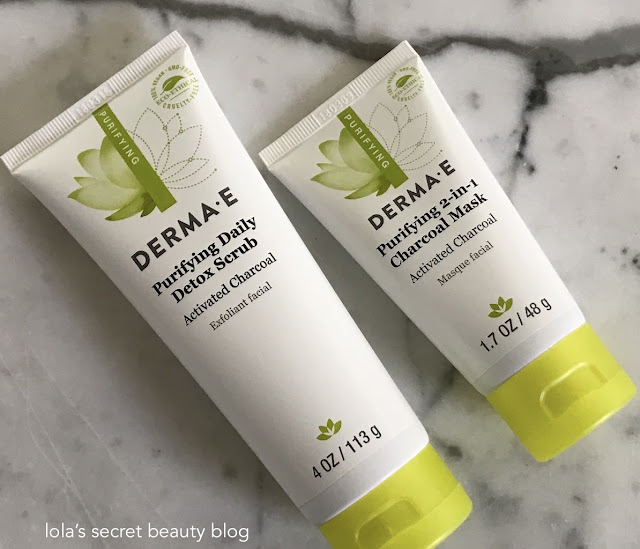 I love Derma E but I'm still scared to put algae on my face since I break out with horrible cystic acne. My acne coach advised against it and I haven't tested her theory yet - she might be wrong (but I will eventually)! If there are ingredients in here that will break you out, it might not be worth risking it. Maybe spot treat with a sample to see, but I think that I wouldn't take the risk. I could have used this a month ago when I had an unusual breakout. I hear you! I have a couple of pimples right now, and I am doing daily spot-treatments to get them to heal! Yay! A charcoal mask from Derma e! Must try!